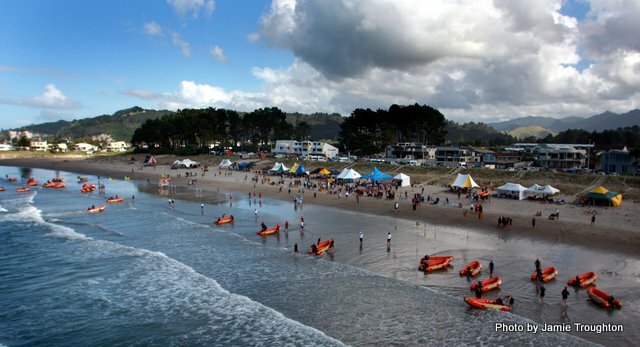 Qualified lifeguards can participate in District Surf Events, which help build their peak performance for the New Zealand Championships held in March. 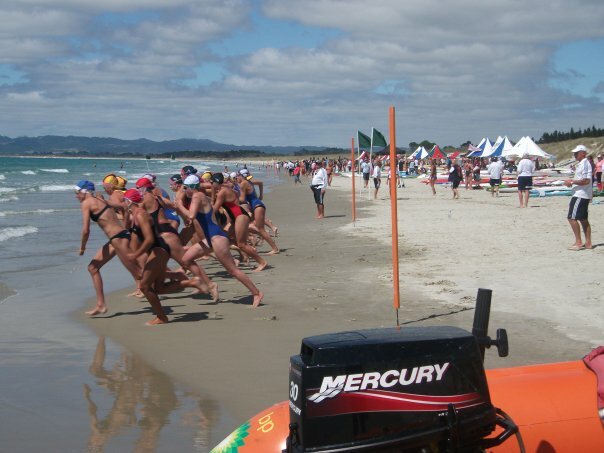 Events span the range of rescue skills and test competitors’ strength, fitness and agility in swimming, running, paddling a Surf Ski, board or canoe, rowing a surfboat. Racing Inflatable Rescue Boats (IRB’s) is an increasingly popular part of our sport. All Surf Lifeguard competitors in Surf Sports events must have completed the ‘refresher test’ before they can compete in District or National Championships. See the calendar of events for championship dates and venues (link at top of this page). A tiered accreditation process gives structure and standardisation to members wishing to coach lifeguards across the range of disciplines at varying levels. Theoretical gained through CNZ at Sport Northland & surf specific component presented by SLSNZ. A tiered accreditation process gives structure and standardization to this vital part of the surf sports program. Refresher courses are also held to update existing qualifications. Ruakaka Surf Club provides ‘beanies’ to identify our competitors for surf sports. The Ruakaka Surf Lifesaving Club colours are navy blue and orange. Suitable togs for competing at surf sports events will be ‘speedo’ style, in the colour ‘navy blue’. The secondary or contrast colour may be orange. The club has a limited stock of togs and rash shirts in club colours for competitions and surf carnivals, see the secretary for sizes and prices.